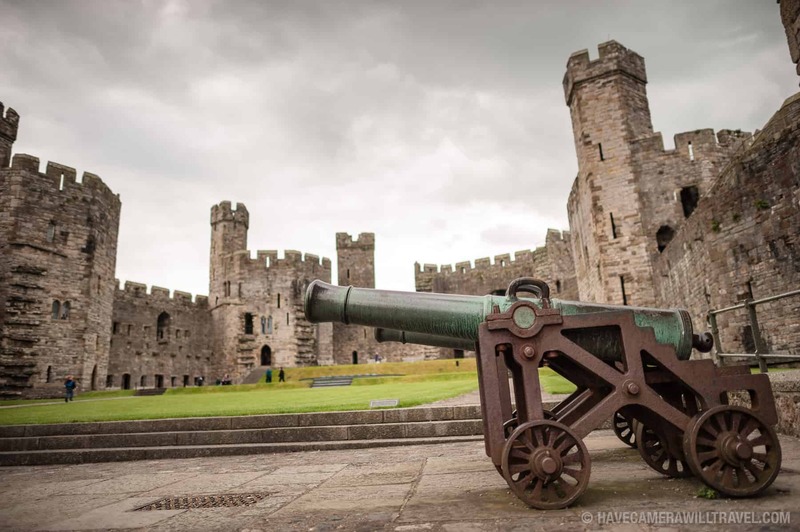 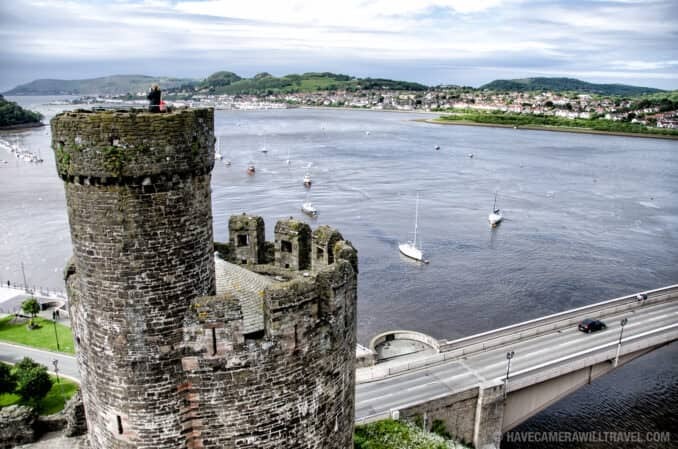 Castle Conwy is imposing and impressive, just as it was meant to be. 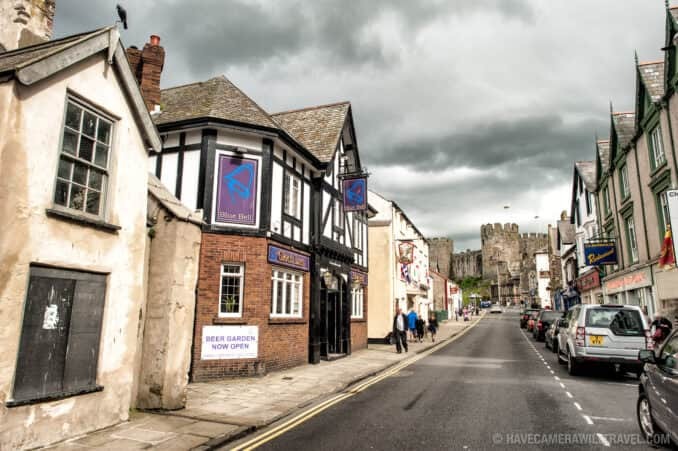 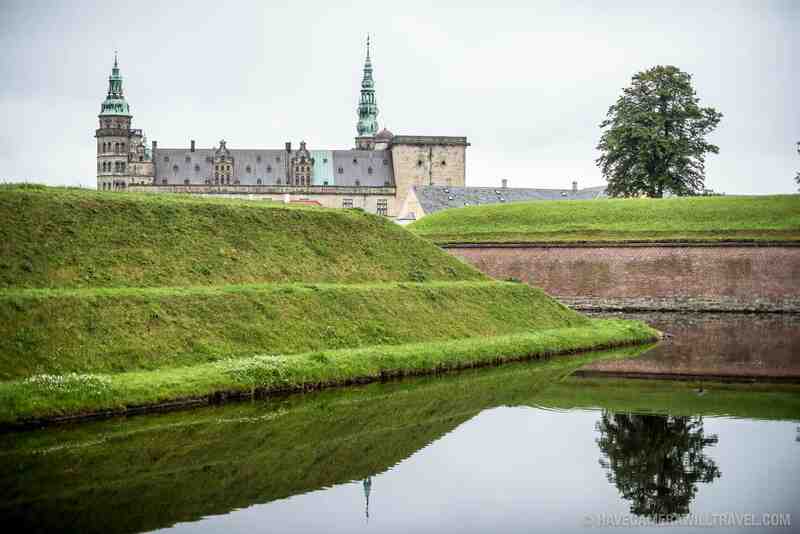 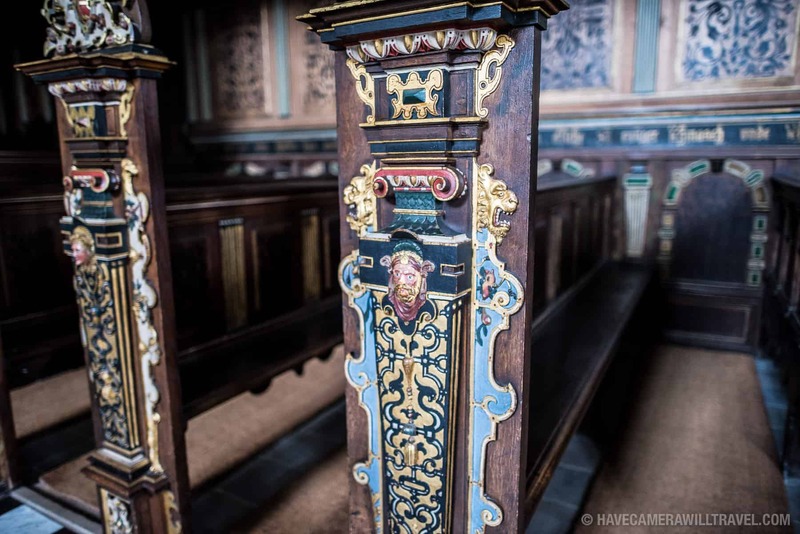 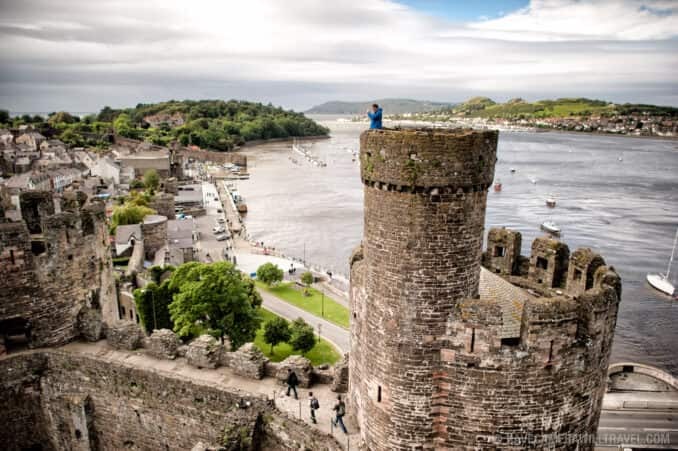 But as you stand on top of the turrets looking out over the waterfront and town, it becomes very clear that the primary thing in King Edward I's mind when he commissioned its building was the cardinal rule of castle building: location, location, location. 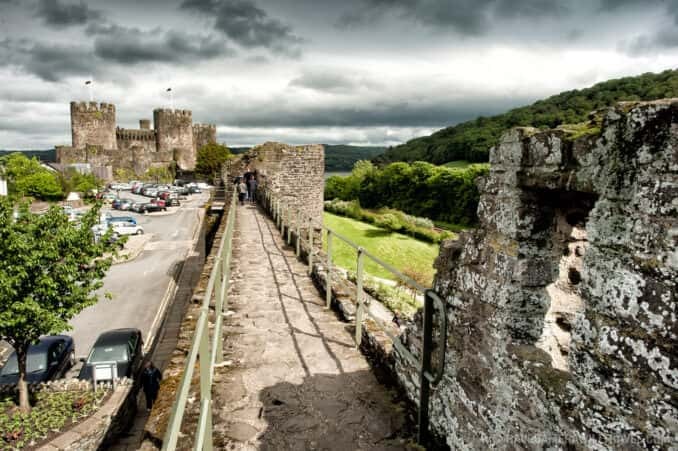 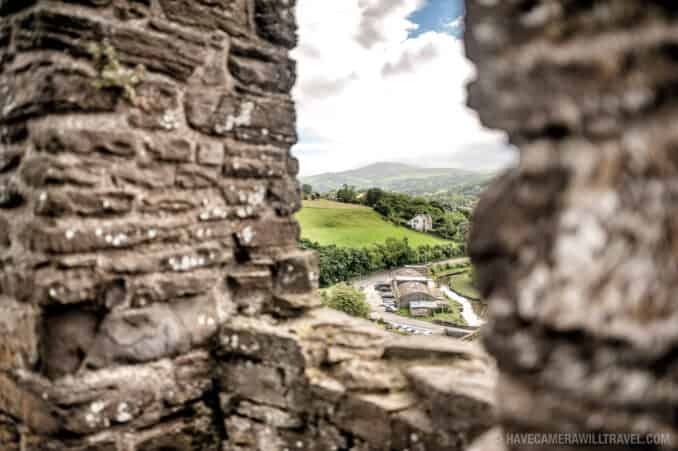 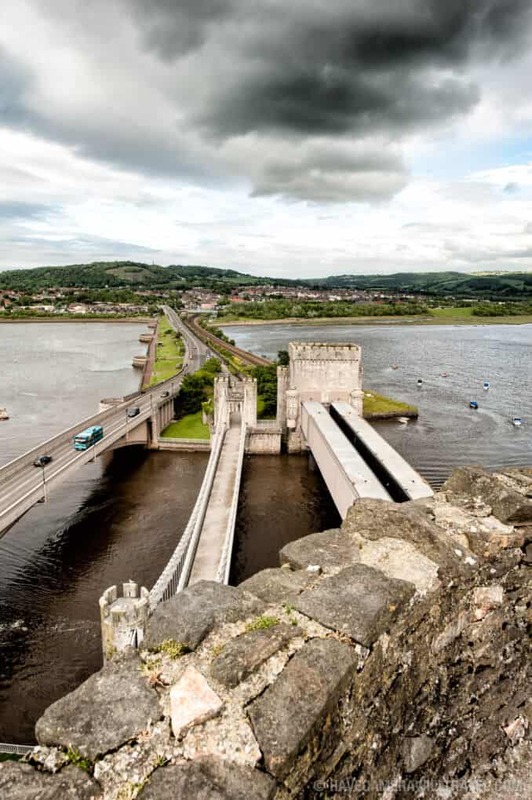 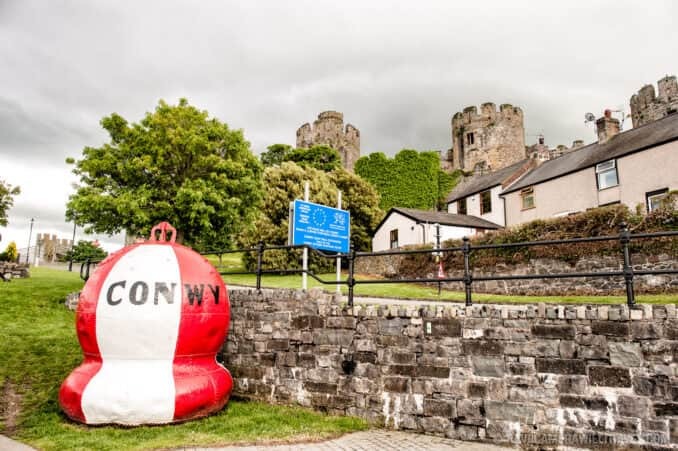 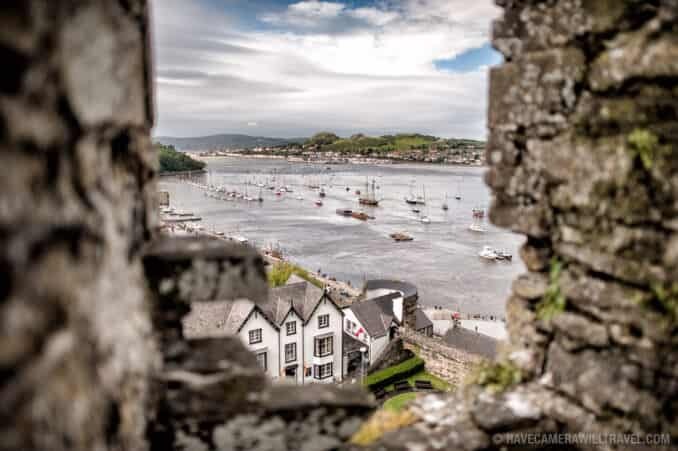 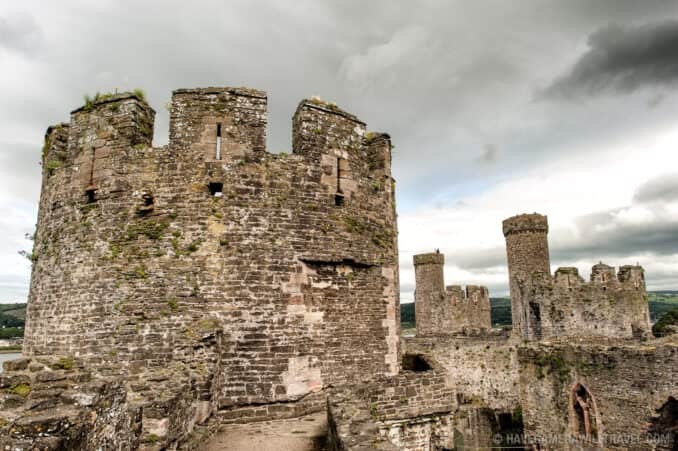 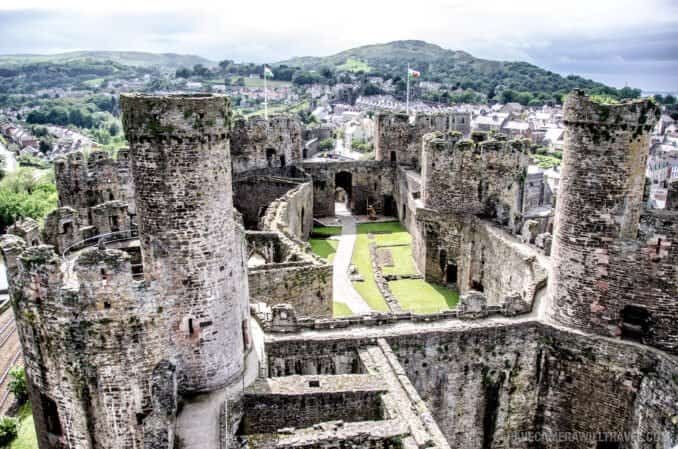 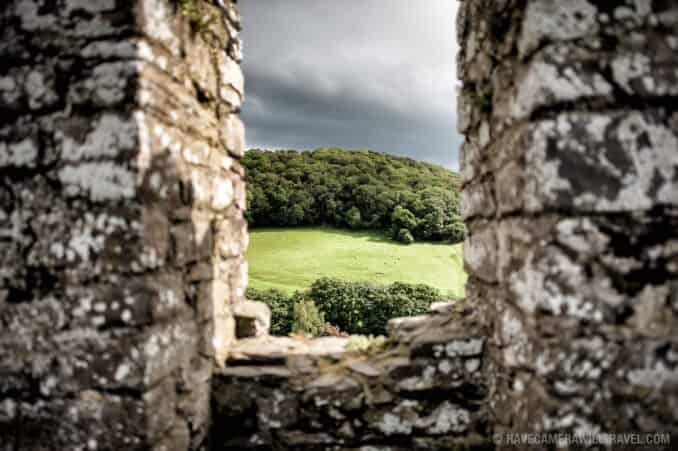 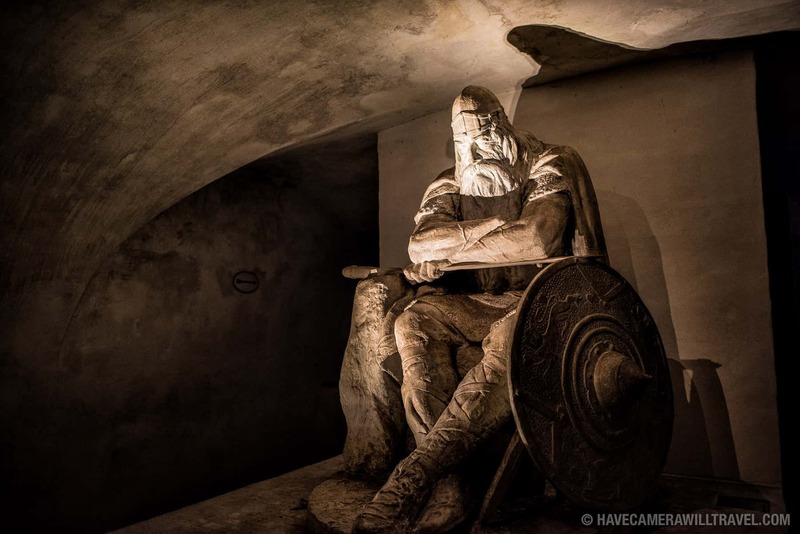 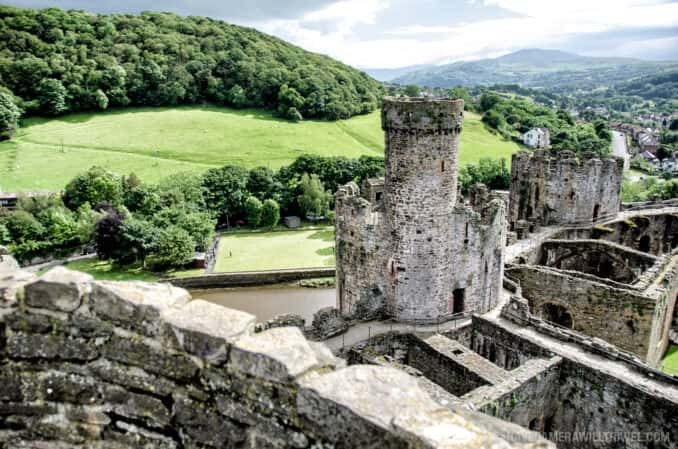 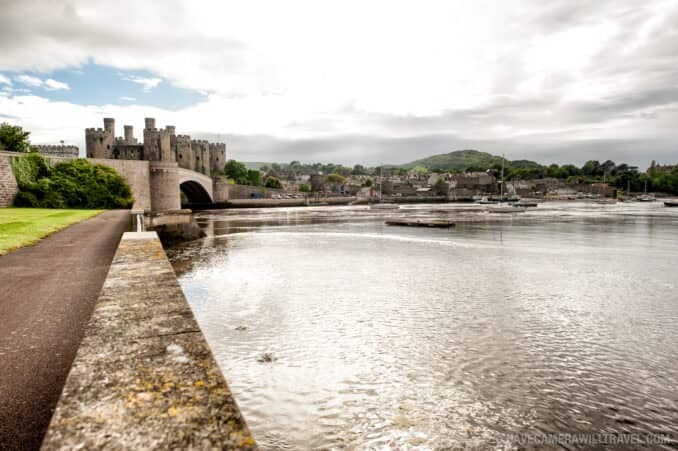 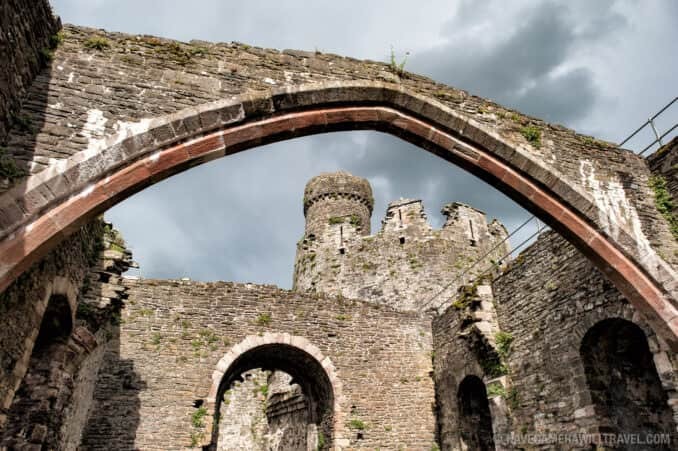 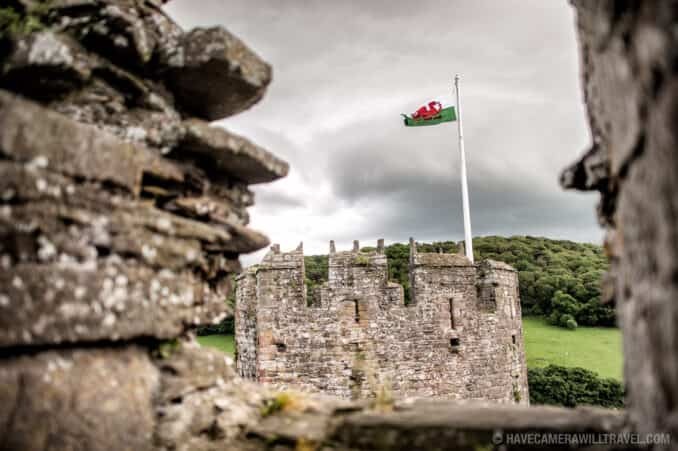 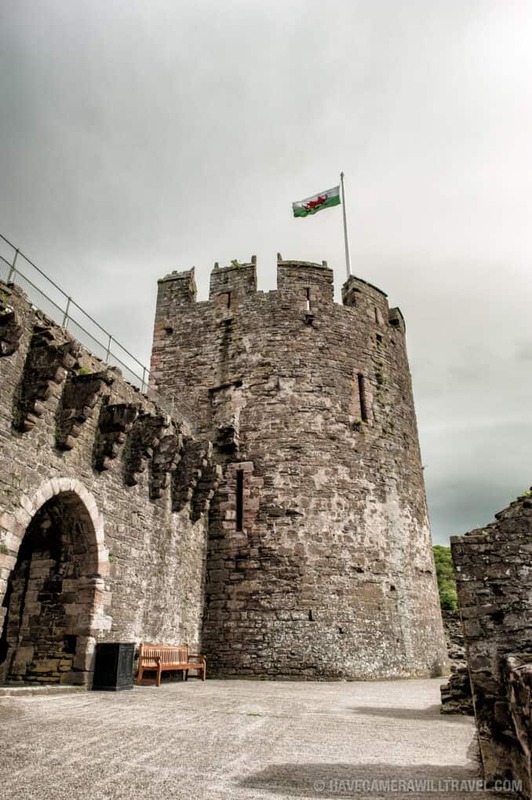 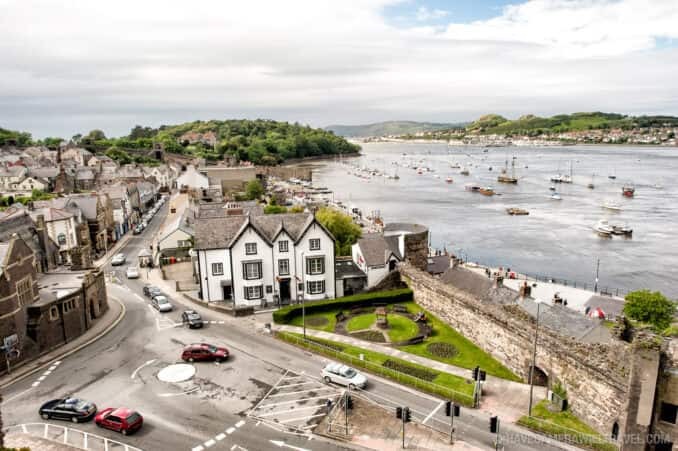 Any army daring to try to use the River Conwy as a watery highway to penetrate deep into Wales first had to contend with the formidable defenses of Conwy Castle and the English army it housed in its walls. 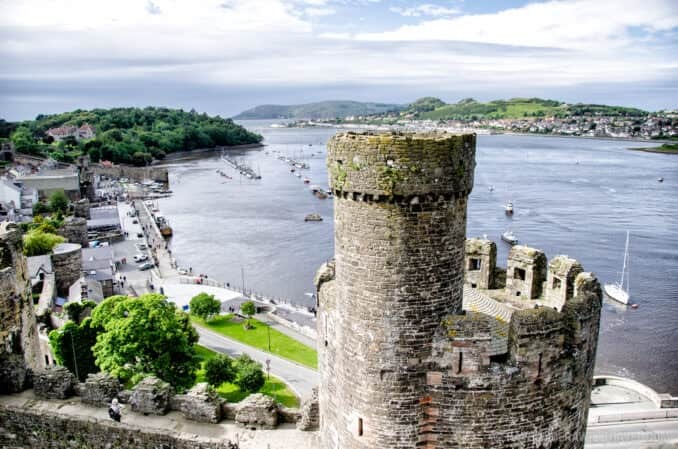 And there wasn't much chance of sneaking up--the tall towers built on the rocky headland give a view for miles up and down the channel. 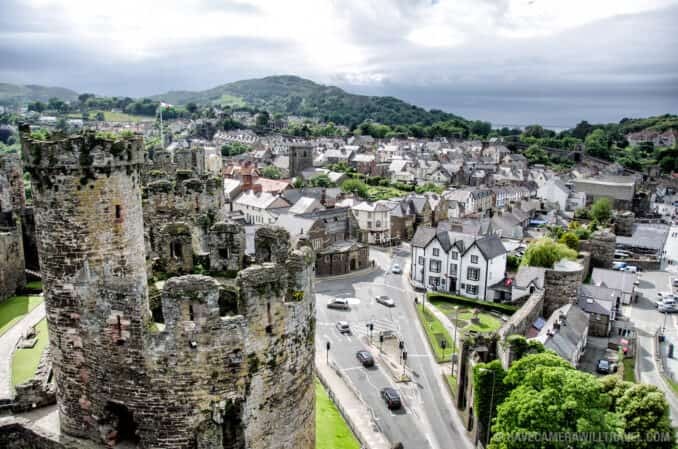 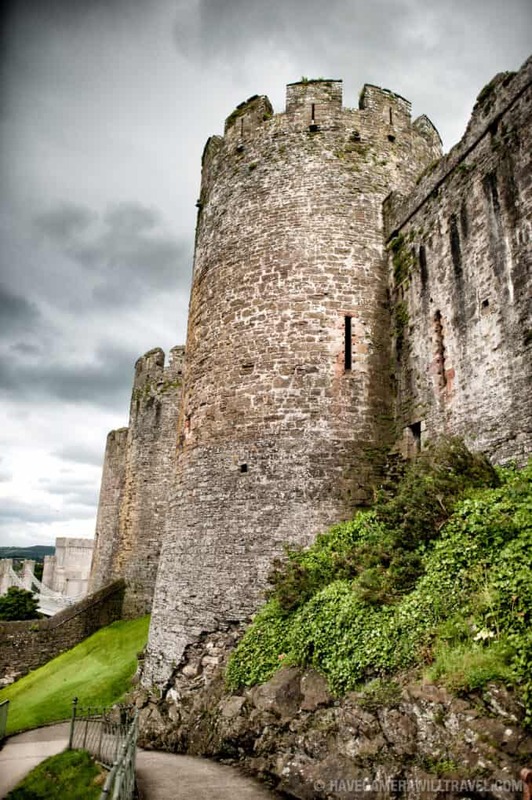 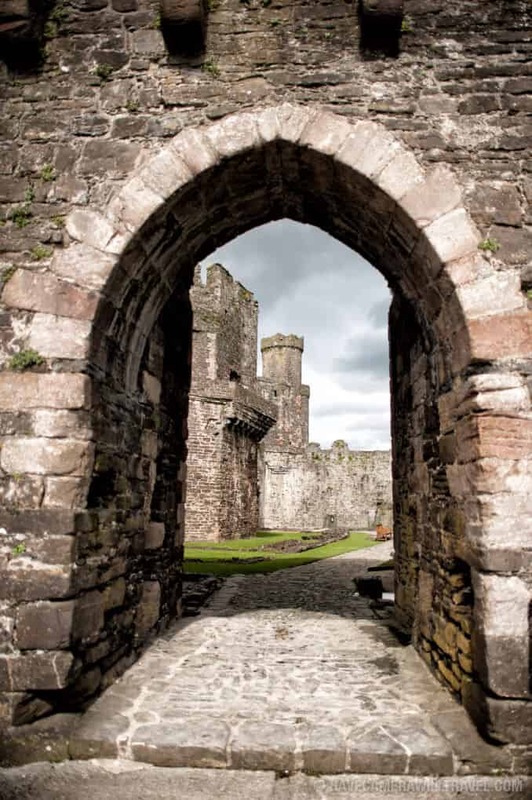 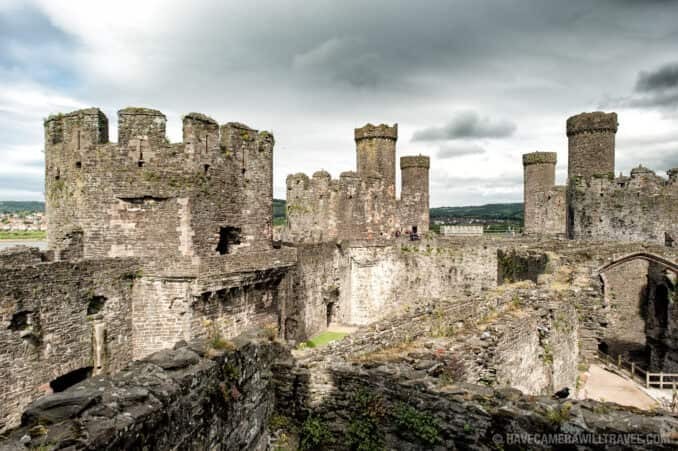 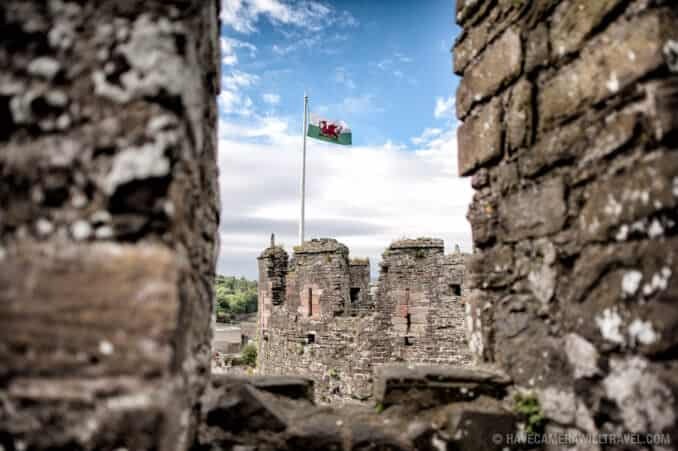 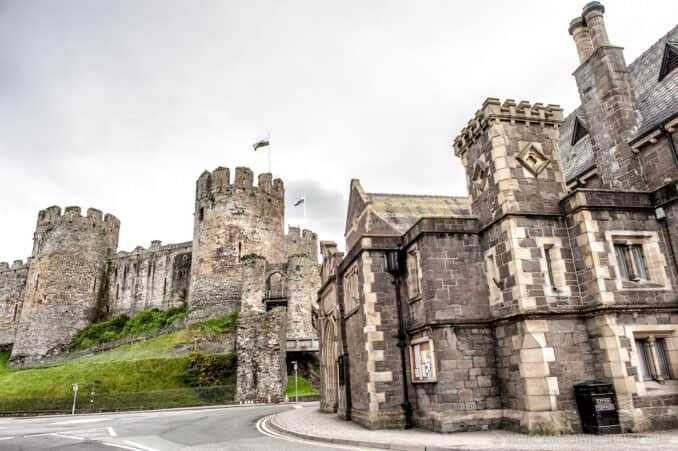 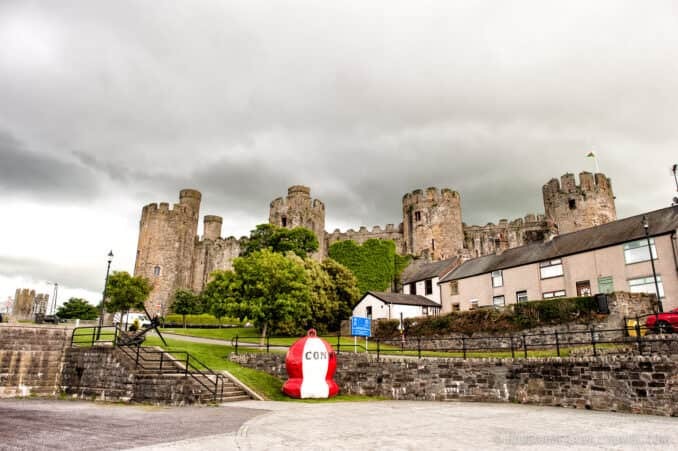 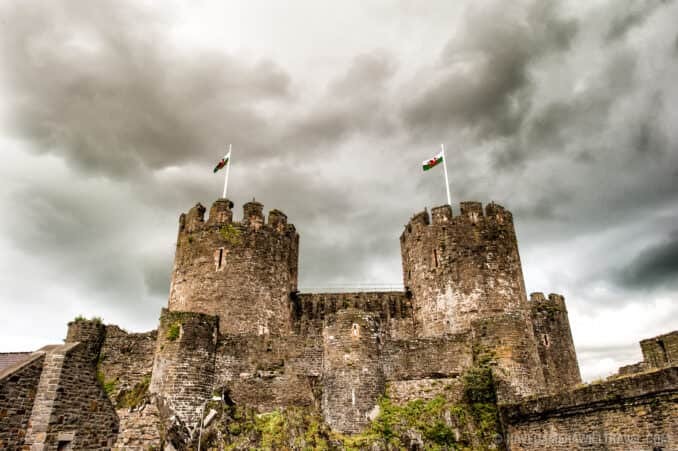 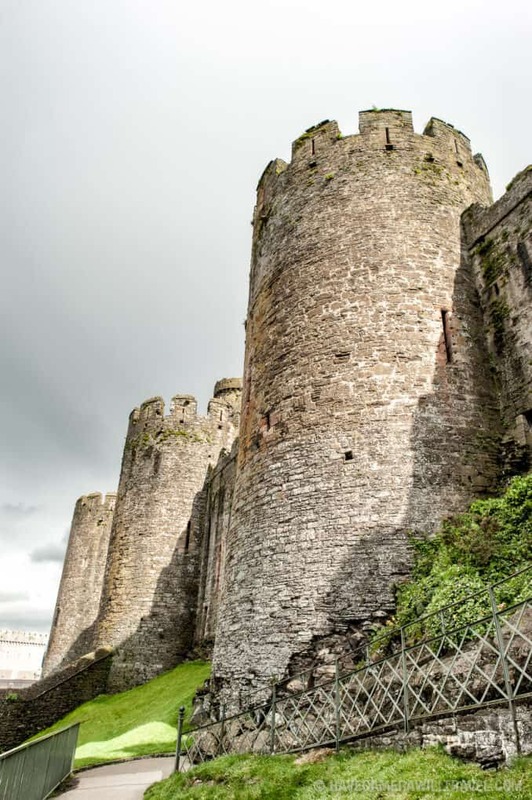 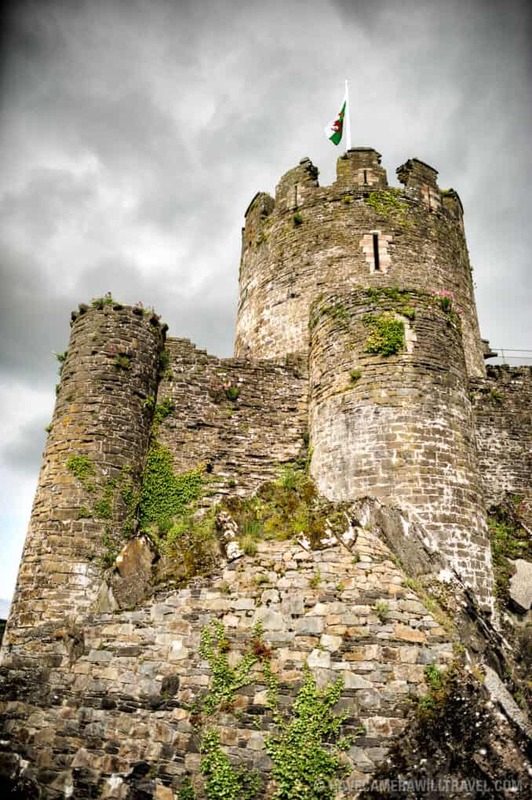 Along with its sister castles at Harlech and Caernarfon, construction at Conwy Castle began around 1283. 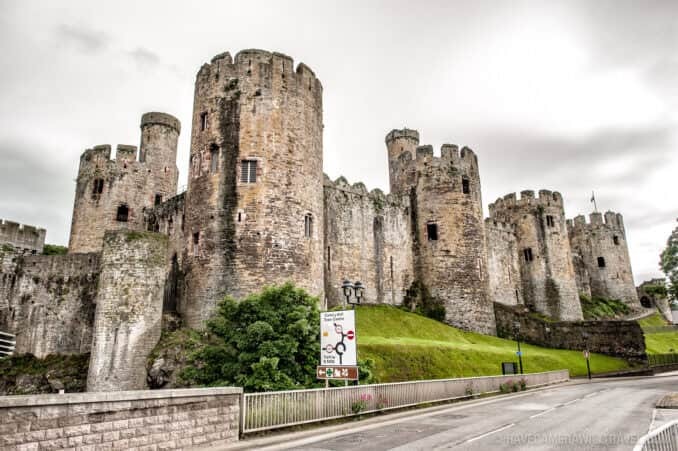 And like many other medieval castles, the town featured prominently in the plans. 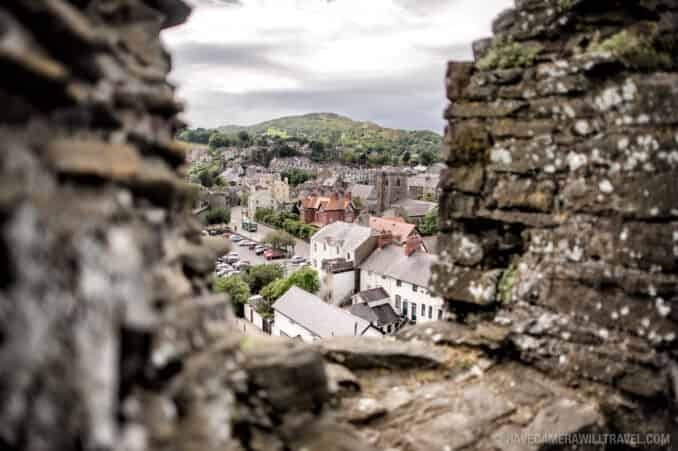 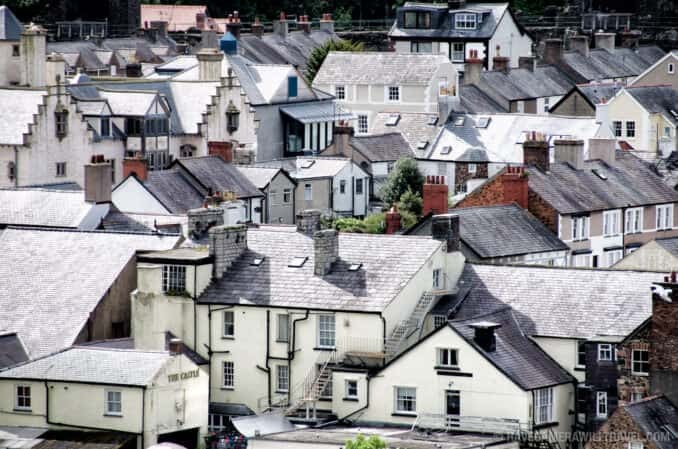 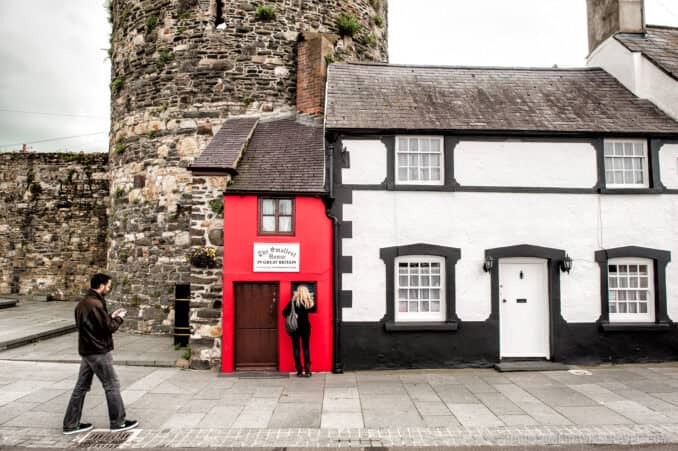 Parts of the original fortification around the town remain, radiating from the castle itself, with houses, shops, and even the famous "Smallest House in Great Britain" built into the solid stone.